The first of the holes across the road and a chance to open up your shoulders. You can take the driver here and favour the left half of the fairway. 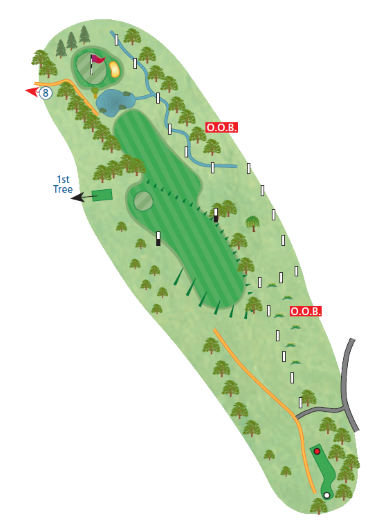 A medium to short iron into the green guarded by a large lake is the only danger.